Get your fingers ready, train that index finger with a "dumb bell" as you want to be clicking as fast as possible from 6th to 8th June for the best Great Singapore Sale (GSS) deal ever! 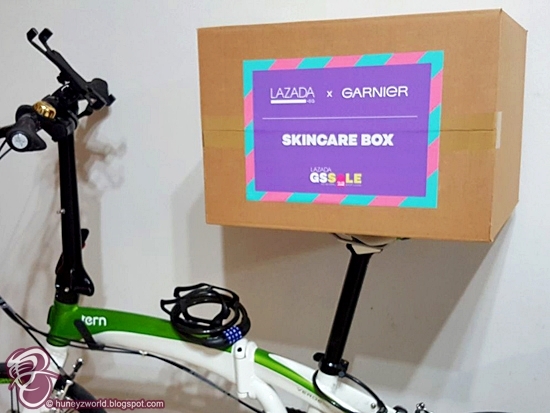 Lazada will once again be surprising us with branded curated boxes at SGD$29 each. Each box could be worth SGD$100 and above, which is way way wayyyy above their original prices. Over the 3 days period, there will be 50 boxes up for grabs in 2-hour intervals (which means each box is available for only 2 hours! ), each focused on a specific brand's products. 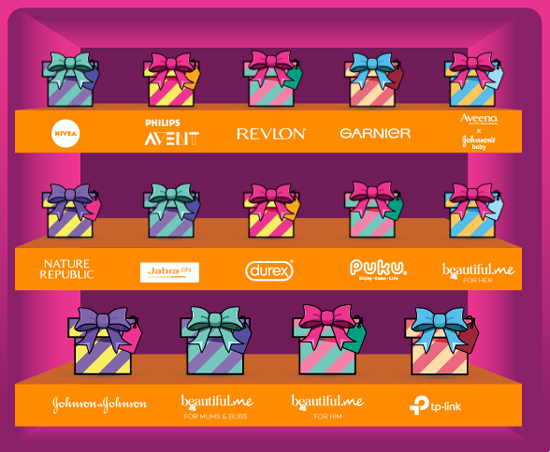 The contents and the release time of the Surprise Boxes are a secret, but you at least get to choose the type of Surprise Box, based on the brands that will be mentioned. It's the fastest fingers first thing, so stay peeled! 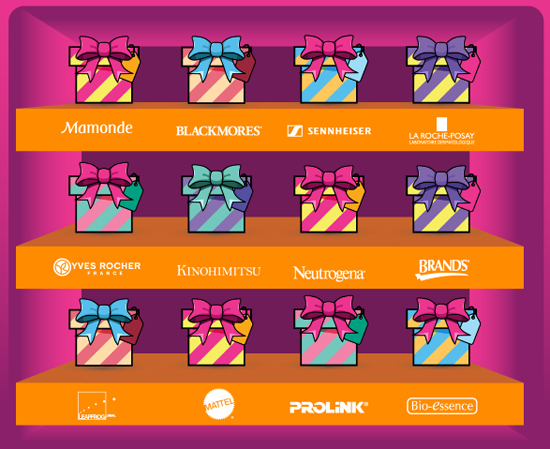 The participating brands are as above. 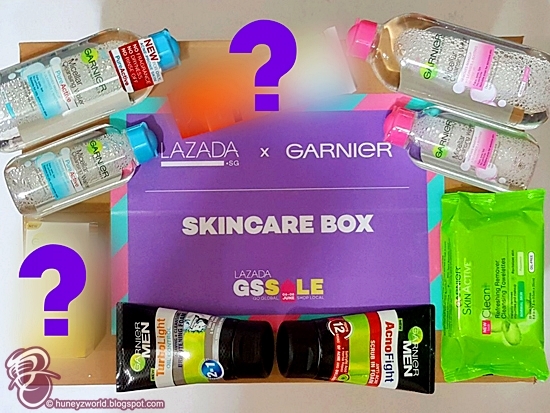 For a sneak peek, I have with me the LAZADA x Garnier Surprise Box, inside you can find skincare products for not just the ladies, but also for the guys too! 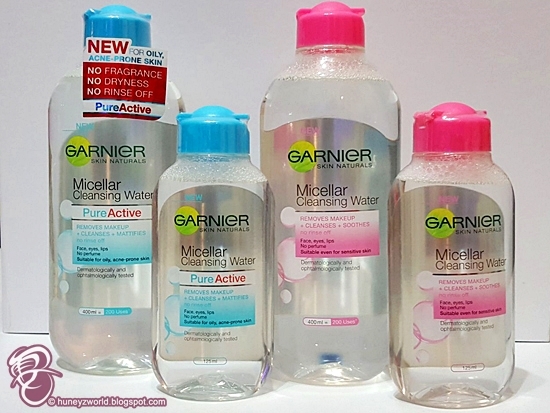 My favourite is definitely the Micellar Cleansing Water. It comes in Pink for all skin types and also a Blue one for Oily and Acne Prone skin. 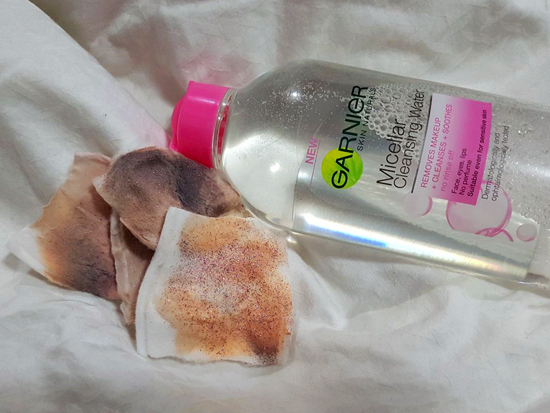 If you don't already know, the Micellar Cleansing water is a hassle free makeup remover, where you don't even have to follow up with a second cleansing to remove the dirt. It works best for me as I have sensitive eyes, even the slightest product gets into my eye, will give me red eyes throughout the night; or for those times when you are super duper tired and you can't wait to just land straight into your bed, but sleeping with makeup on is bad! That's when the Micellar Cleansing Water comes in. You just need your cotton pads, soak them up with the cleansing water, swipe a few of them till your face is rid of makeup (you can even do this whilst lying in bed), throw the pads away (or just cast them on the floor and clear them tomorrow morning) and head straight to bed. Easy peasy eh? Of course, the products in the Surprise Box doesn't end there, as you can see from above pic, there are tons of skin caring products for you to use or even try out. 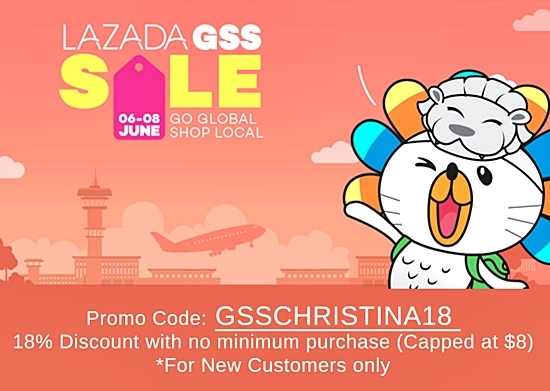 With just 2 more days to the Lazada GSS Sale, I suggest that you start browsing and making a wishlist of the items too, as there will be discounts up to 90% off, flash deals every 2 hours. 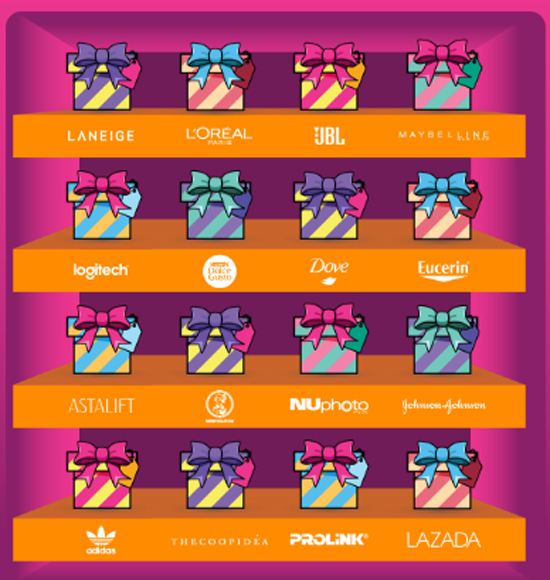 Additionally, if you buy any of the surprise boxes, remember to post an unboxing video of your Surprise Box on social media, hashtag #lazadasurprises, and stand to win more attractive prizes from Lazada.